An outbreak of sickness from E.coli bacteria has been traced back to Chipotle Mexican restaurants in the Pacific Northwest. According to Oregon and Washington state health departments, at least 37 people have suffered severe illness from the bacteria, which causes severe nausea, vomiting and gastrointestinal problems. Health officials are desperately trying to find the source of the microorganisms, which tend to be embedded in meat and/or fresh produce such as cilantro, lettuce, tomatoes and onions. ABC News reports that Chipotle temporarily closed 43 restaurants this past weekend in both Washington and Oregon as the company battles the fallout of the outbreak. 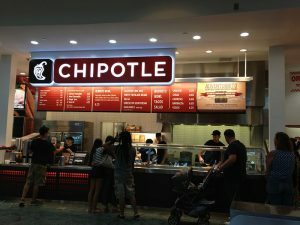 And while a direct connection has not yet been established, health officials are interviewing Oregon and Washington residents who were sickened by E.coli, while simultaneously testing Chipotle restaurant food products to find a match. Considering that E.coli incubates for 3-7 days in the body before presenting symptoms, it is uncertain how many more people will suffer the effects of the bacterial contamination. “Anyone who thinks they may have become ill from eating at a Chipotle restaurant in the past three weeks should consult their healthcare provider,” cautioned Dr. Scott Lindquist, a state epidemiologist in Washington. He added that very young children and the elderly are most at risk of becoming severely ill from this particular strain of E. coli. This week, one woman became so ill after eating a burrito bowl at a Washington-based Chipotle, she had to be hospitalized. According to the lawsuit, plaintiff Charmaine Mode became very nauseous and began suffering from severe diarrhea a few days after her meal at Chipotle. Her extended hospitalization caused her to miss work and lose income. She is requesting in excess of $75,000 in monetary damages. This is the first legal complaint filed in relation to the E.coli outbreak, though others who have suffered lost wages and medical costs related to treatment may also decide to pursue litigation. In addition to temporarily shutting down several dozen of its restaurants for a deep clean, Chipotle says it is currently performing environmental analyses in distribution centers and restaurants along with batch testing ingredients to find a possible source of the E.coli. Meanwhile, state health officials are reviewing at least a month’s worth of public health records and other potential cases in both Oregon and Washington. Chipotle representatives say they will not re-open the restaurants until they’re given the green light by health officials. How does E. coli infect food? E.coli bacteria are naturally occurring in the digestive tracts of animals and humans. Most types are harmless, but some strains, such as the Shiga toxin-producing E. coli O26 – which is the culprit in this current outbreak — can cause bloody diarrhea, stomach cramps and relentless nausea. Over several days, this illness can lead to extreme dehydration and require hospitalization and antibiotics. The bacteria, which are found in animal waste, may have been transferred in indirect ways, including improperly cured compost or dirty water. Even a truck contaminated with traces of the bacteria that transported produce could have spread the E.coli to food products. 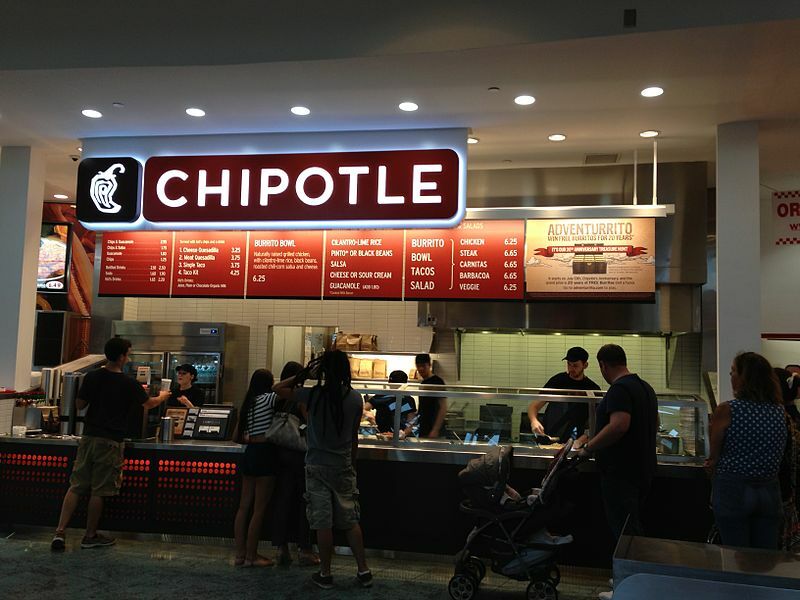 Who is eligible to file a Chipotle E. coli lawsuit? Individuals who have been admitted to the hospital as a result of the E.coli exposure may have cause for litigation. For more information about filing a personal injury lawsuit in the wake of bacterial contamination and hospitalization, the attorneys at Ellis Injury Law are available to discuss your legal options. Call 310-641-3335 to schedule a free case evaluation today.